Coaching is basically a ‘conversation’ between us that is supported by exercises and strategies to enable you to grow your capabilities and confidence. As your coach I see my role as supporter, thought interrupter, mentor and accountability buddy. As a result, you’ll achieve mindset changes and move forward to feeling happy, valued and fulfilled. WHO IS YOUR COACHING FOR? I work with women who struggle to put themselves first and are held back by behaviours and a mindset that aren’t helping them. They may find it difficult to speak up and deal with uncomfortable situations or doubt their abilities, but all of them are fed up with being hard on themselves and battling to feel good enough. If you’re committed to change and prepared to work at it then I’d love to share a journey of discovery with you. WHAT RESULTS DO YOUR CLIENTS GET? 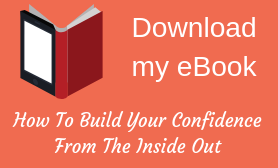 WHAT MAKES YOU DIFFERENT FROM OTHER CONFIDENCE COACHES? I’m very results-focused, which means when you work with me, we agree measurable goals and work to achieve them through a structured programme. The programme is tailored to your specific needs and follows my 6- step process. Rather, than booking a few sessions and getting mediocre results, my programmes are intensive and enable you to get amazing results. I commit to be there with you every step of the way opening up new perspectives and choices. HOW DO YOUR COACHING PROGRAMMES WORK? This is my most popular programme and has enabled all my clients to achieve amazing results! The results based programme involves working through 6 agreed modules that are tailored to your needs whiklst applying your new strategies and mindset to your role via ‘on the job’ coaching. 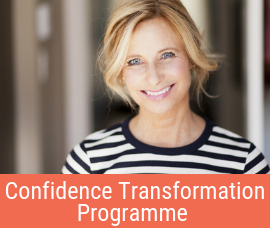 If you want to really transform your confidence, believe in your abilities and free yourself from the stress of feeling ‘not good enough’ then this is the programme for you. Imagine having a whole day to focus on you, to challenge your self-doubts and grow your self-belief.